Zika virus is causing birth defects rarely seen before, including collapsed brains and skulls, according to Dr. William Dobyns, a Seattle Children’s hospital expert in genetics and pediatric neurology. Zika virus infections are causing birth defects so severe that the babies’ brains shrink and their skulls collapse inside the womb, according to a Seattle expert who is monitoring the epidemic sweeping across Latin America and the Caribbean — and approaching the U.S. mainland. At least half of 40 brain scans from Brazil that Dr. William Dobyns has examined meet criteria for a rare condition known as fetal brain disruption sequence, a previously rare and highly destructive condition, according to the Seattle Children’s hospital medical geneticist and pediatric neurologist. It’s a condition much more severe than the microcephaly linked to Zika early on, a disorder in which babies are born with smaller-than-normal heads, Dobyns said. The growing cases are more evidence that the largely mosquito-borne virus leads to far more devastating defects than originally thought. They also underscore the need for greater awareness and preparation as the virus approaches the continental U.S., Dobyns said. Dobyns’ observations come a week after the Centers for Disease Control and Prevention (CDC) confirmed Zika virus is the cause of increased cases of severe microcephaly and other birth defects seen in thousands of babies in Brazil starting last fall. CDC officials, writing in the New England Journal of Medicine, said that limited data showed some infants infected with Zika virus had signs of fetal brain disruption sequence. A separate study of 23 Zika-affected infants, published last week in the journal BMJ, also found evidence of the disorder, which previously had been documented in just 20 cases. “Everybody is seeing the same thing,” said Dobyns, who has been consulting with experts in Brazil and at the CDC. Babies with the condition have severe microcephaly, overlapping skull plates and a prominent occipital bone, which is located at the back of the skull. The infants also have excess folds of scalp skin that remain loose when the skull collapses, Dobyns said. They’re likely to have severe neurological and developmental delays and may not be able to walk, talk or feed themselves. Many will die shortly after birth, he added. Data so far seem to show that infections during the first and second trimesters of pregnancy cause what’s now being called congenital Zika syndrome. As more cases emerge, it’s clear they share certain characteristics, Dobyns said. Other viruses, including cytomegalovirus (CMV), have been associated with microcephaly in the past. But this is very different, Dobyns said. 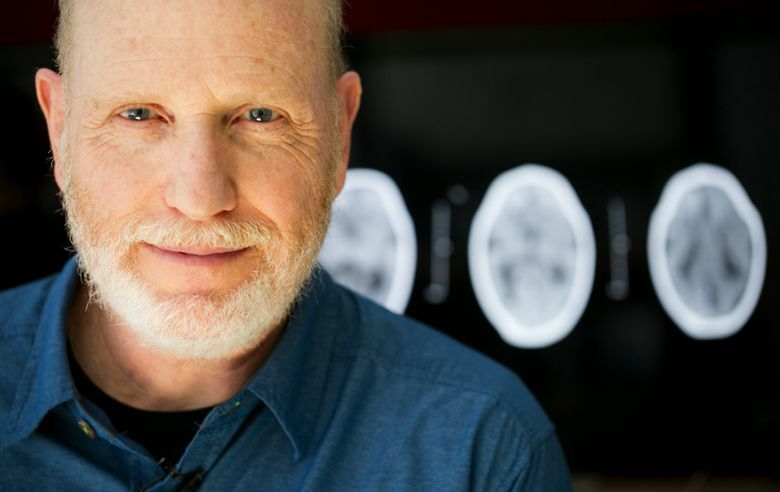 “I think I can tell the difference between Zika and CMV on brain scans,” he said. Officials with the CDC and the National Institutes of Health have said transmission of Zika virus by mosquitoes may occur in the United States later this spring and summer, particularly in the Southeast. Two types of mosquitoes, the Aedes aegypti and Aedes albopictus, are known to spread Zika. So far, U.S. states have reported only travel-related cases, in which the virus was spread by someone who got sick abroad, then infected someone back home. Nationwide, 358 cases of travel-related Zika have been reported in the U.S., including 31 in pregnant women. In Washington state, two cases of Zika virus infection have been confirmed in local residents. Two other cases were confirmed in international travelers. At the same time, nearly 500 cases have been reported in U.S. territories, including Puerto Rico, the U.S. Virgin Islands and American Samoa. In addition to birth defects, Zika virus infections have been associated with cases of Guillain-Barré syndrome, which causes muscle weakness and paralysis. Dobyns joined a growing chorus of critics, including Senate Democrats, in urging Congress to approve the Obama administration’s request for $1.9 billion in emergency funds to fight the Zika threat. Federal officials this month shifted $589 million allocated for Ebola to cover Zika costs. Health experts say Zika virus isn’t expected to hit the U.S. as hard as places such as Brazil, largely because of mosquito control and the ability of many people to avoid insect bites. Any outbreak isn’t likely to be widespread, experts say. Still, cases are likely to occur. “Everybody expects that we’re going to have affected kids in the U.S.,” Dobyns said. When that happens, it will likely galvanize public alarm, but Dobyns said he’d like people to prepare now by knowing about places where Zika is likely to spread and taking action to protect themselves. That includes wearing protective clothing and using insect repellent to prevent mosquito bites — and understanding that Zika can spread through sexual transmission. Couples contemplating pregnancy after Zika exposure should be especially concerned. Dobyns said they might consider postponing pregnancy until the crisis clears.